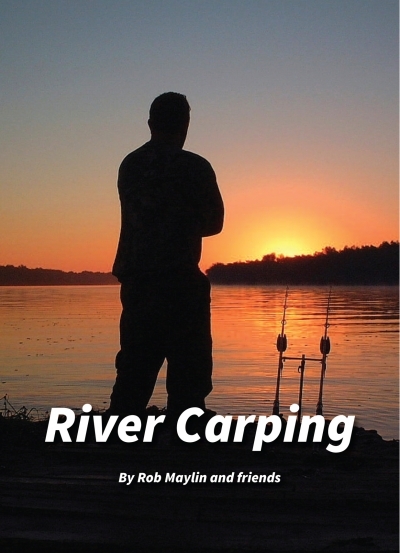 My first River Carping book was published in 2014 and it caused quite a stir in the angling world however while still in the design stage it was obvious that this diverse subject could never be covered in just one book. Many rivers had not even been mentioned, those that had been written about had only had the surface scratched and technical information had not been included except for my own experiences. This volume, I hope goes some way towards rectifying those short falls. We have covered the rivers Ouse, Thames, Yare, Waveney, Darent, Stour, Fen Drains, Mole, Delph, Gipping, Trent, Severn and Lee plus a few secret venues never before publicised. Every chapter commissioned especially for our publications, every author a specialist in their own river. Dave Little , Andy Noble and Joseph Gacon take up the story on one of the UK's most prolific carping venues, The Great Ouse, a venue I have fished hundreds of times but these three guys are the experts. Dave can be seen on the cover with an awesome Ouse 30+ linear which was braced with a 28, these are the river monsters of the UK they don't come much bigger than this in our river systems .....or do they? If anywhere it will be the Thames which one day turns up a true monster, whether it be a true river fish born and bred is unlikely, much more likely to be an escapee from one of the many gravel pits containing big carp lining the banks of the Thames as it travels through the home counties. Several great chapters on the Thames can be found in this volume from Graham Stevens, Jo Green, Paul Miller, Nathan Kippling and Anthony Dumper. The rivers of Norfolk are another strong hold of English river fish and for the first time we uncover the secrets of the Yare from Dave Peacock and the River Waveney via Dave Lockwood. Close by on the Fen Drains Mark Barrett and his friends have been pioneering this river system with some fantastic catches, topped by a huge beast mid-forty from the River Delph. The Severn and Trent are two of the great carp fishing rivers of the UK and we have several awesome chapters on these hotbeds including Scott Rodgers, Marc Twaite and Lee Brookes, Josh Bath, Sean Smith, Mark Smith plus a few others. Including both session and tactical pieces. Ben Dowers joins us with his experiences on the Gipping and Stour, Joseph Baldwin on the Somerset Levels, a trio of monsters from CJ Carpstar from a small undisclosed river and a record capture from the river Lee for Richard Pearson truly a river monster. 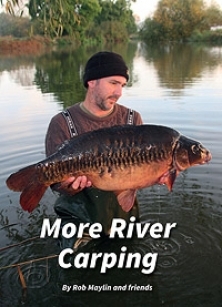 Finally we look at those venues truly Off the Beaten Track, this chapter will have you running for the rods I assure you, the essence of true river carping! 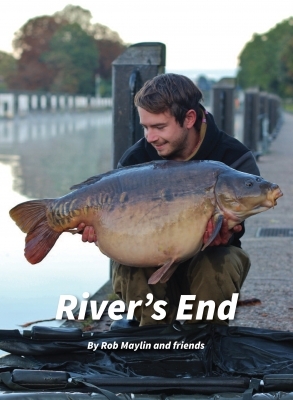 There are still a few rivers we need to mention in the UK and of course some great carp fishing rivers in Europe, Canada and the USA which are regularly fished by English anglers, these will have to wait until the 3rd and final book in our river carping series.....Rivers End.